From July 11th to 14th, the Sorbs invited to the 10th Folklore festival “Lusatia”, which took place in Crostwitz, in the historical city of Bautzen. 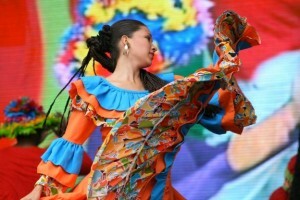 The focus of this festival was on the minorities and ethnic groups from all over the world. 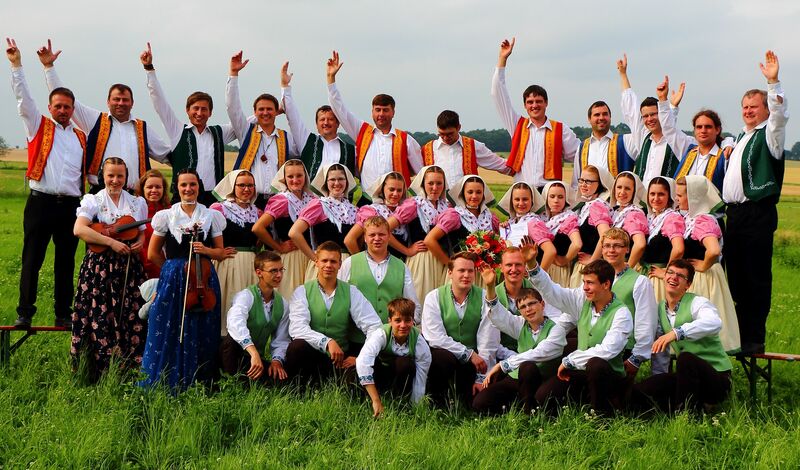 Together with the participants from Lusatia and other parts of Germany they presented their unique folklore and enchanted more than 18.000 visitors with their songs, dance arts and traditional costumes. 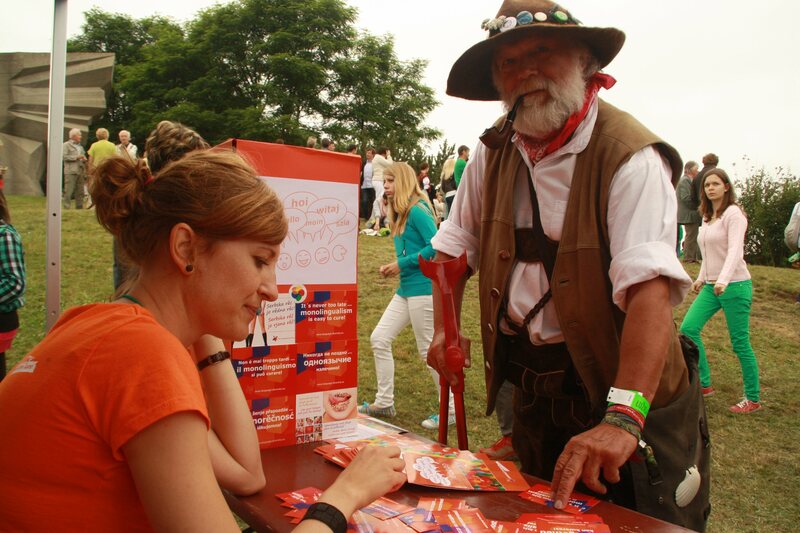 Organisor of this cultural highlight, which takes place every second year, is the Domowina – Bund Lausitzer Sorben e.V. in cooperation with a lot of local partners. 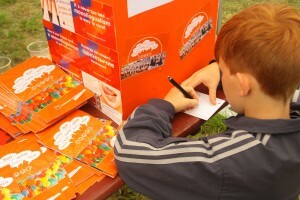 The bilingual region Lusatia in the border triangle of Germany, Poland and Czech Republic is a focus- region of our campaign. Where could linguistic diversity be more important than at a festival, which celebrates the cultural differences, traditions and customs? 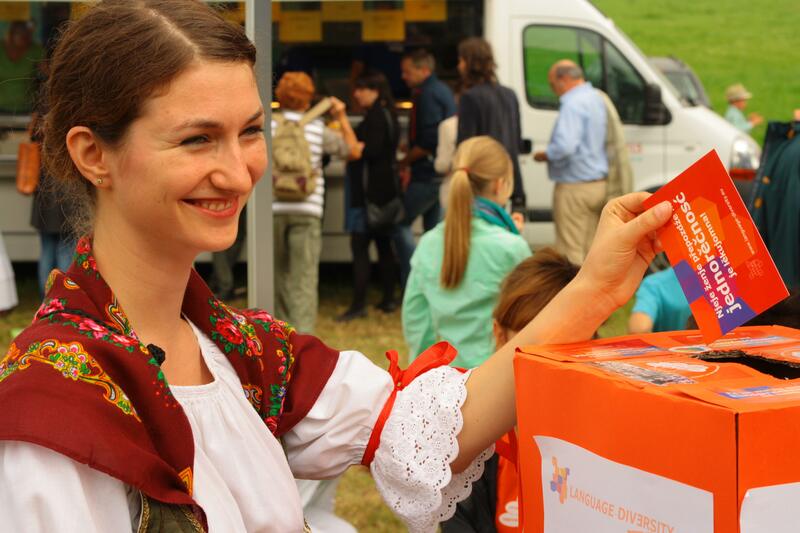 The language diversity team made sure that next to the colourful dances also enough attention was paid to linguistic diversity – we came with a post office, from which everybody had the opportunity to send multilingual greetings home from Lusatia. This action and the colourful language diversity smarties were very popular, especially among children. With the help of a quiz we tested the knowledge of visitors about linguistic diversity. For the people who were not able to tell how many languages there are in the world and which language is among the oldest in Europe, we had an information-flyer with facts on linguistic diversity and the benefits of multilingualism. 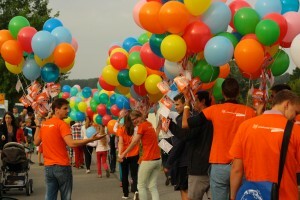 During the grand parade in Crostwitz/Chrósćicy on Sunday the participants of the parade were welcomed with an illuminated “Hello” in more than 20 languages. School students from Crostwitz/Chrósćicy in a language diversity T-shirt guided the folklore groups. At the grand final of the folklore programme the language diversity team, supported by Sorbian school students from Lusatia, sent 450 colorful balloons flying, as a symbol for diversity.